Stubbe Chocolates (Facebook: Stubbe Chocolates), located on 653 Dupont St (Dupont & Christie), is a family run business for six generations. It all started when Johann Heinrich Petrus Stubbe established Stubbe Chocolates on May 9, 1845, in the northern German city of Meppan. In 1989, almost 150 years later, Heinrich Josef Stubbe moved the company to Canada where today, he and his son, Daniel, continue their family's passion with two locations, one in Toronto and one in Ottawa. 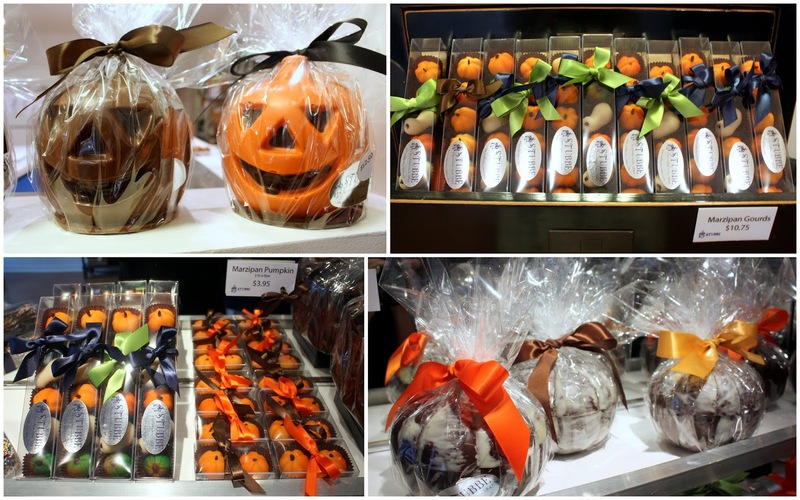 So why am I doing this "sneak peek" on Stubbe Chocolates? Lets just say I have an AMAZING giveaway next Tuesday, October 16, with Stubbe and Choco-locate (Twitter: Chocolocate, Facebook: Choco-locate). And seriously, when I say something is amazing, I'm NOT kidding! And for all you chocolate lovers out there, my giveaway will be INCREDIBLY drool-worthy...and that's a promise. 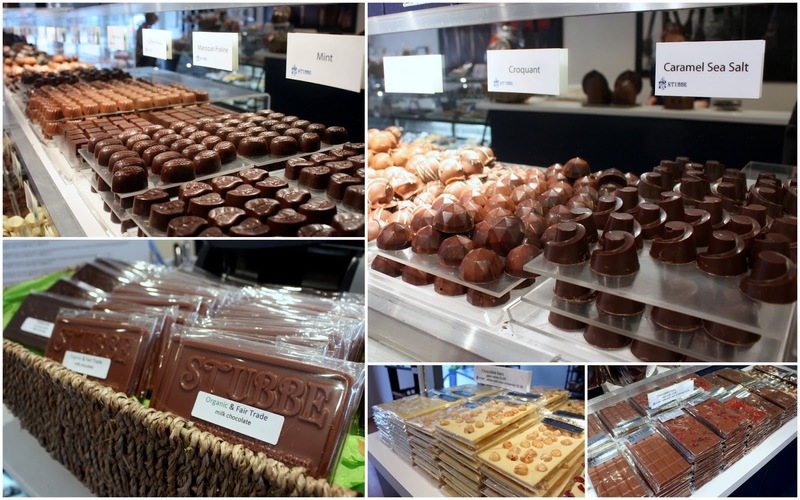 Showcasing all their chocolates on one side with an open kitchen at the back where all the goodies are created, Stubbe Chocolates is a very spacious, neat and inviting space. 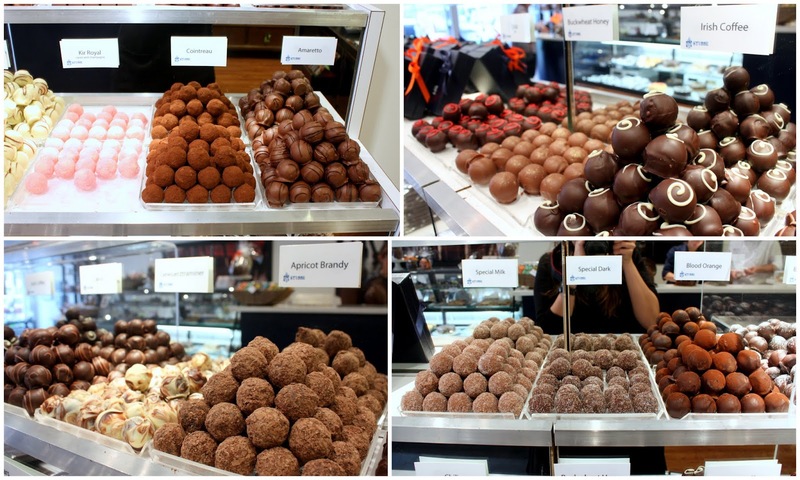 There are a total of 28 different varieties of truffles at Stubbe Chocolates. Stubbe also has 7 different kinds of bonbons and 25 different chocolate bars. 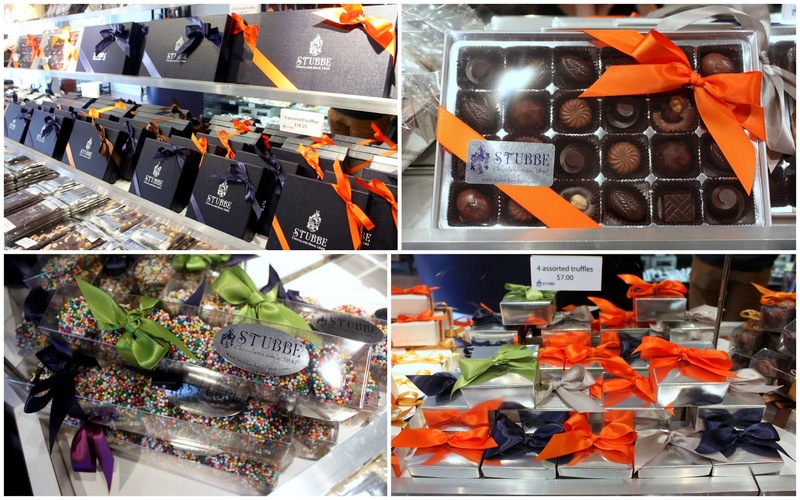 Here are some of Stubbe's gift boxes for their truffles and bonbons; I personally really like the look of their gift boxes...very classy with the dark blue and ribbons. They also have a wide selection of other classics like maripan fruit, nonpareils, almond clusters, orange peel and hot chocolate. 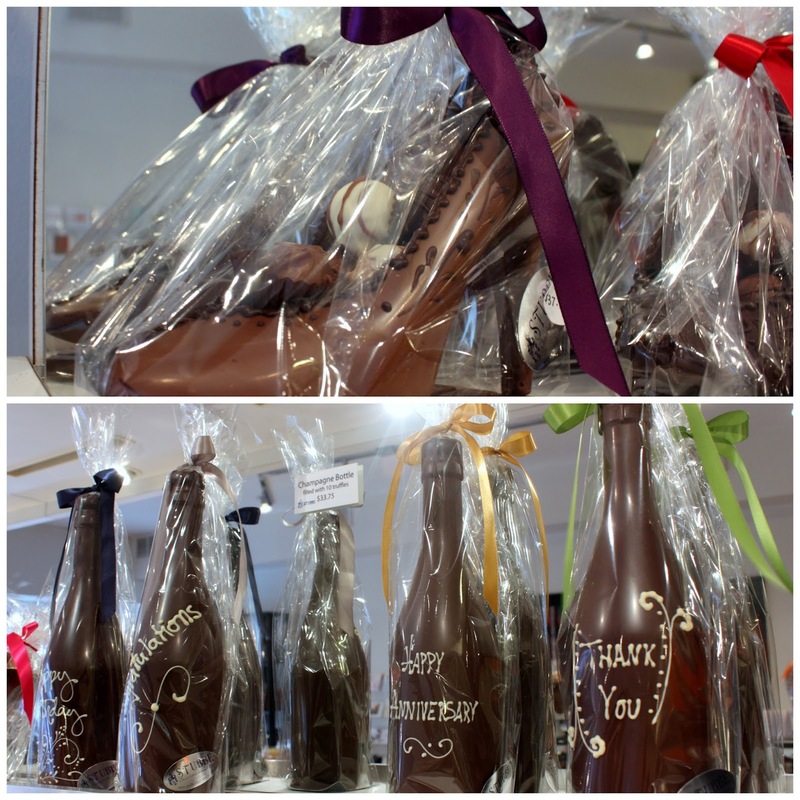 A chocolate stiletto and champaign bottle for a special occasion? Yes, please! Check out these Halloween-themed chocolates. So adorable. Again. Fabulous contest next Tuesday with Stubbe Chocolates and Choco-locate. Keep your eyes peeled!! !